When you think of bands that pioneered the twin lead guitar idea, who do you think of? Judas Priest? Iron Maiden, possibly? Maybe southern rock outfit, Outlaws? 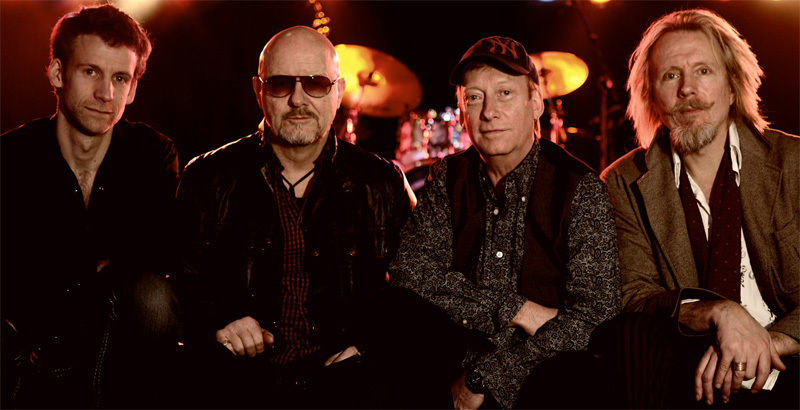 How about England's Wishbone Ash, which began right around the same time as Judas Priest? The band has been going strong for better than 40 years, with regular releases over the years. If the Wikipedia entry is correct, Blue Horizon is their 25th studio album. Wishbone Ash: never too old to rock n roll. The twin lead guitars are held by founding member Andy Powell, also on lead vocals, and Finnish guitarist Muddy Manninen, with the band since 2004, and adding slide guitar once again. 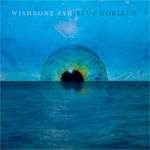 The music of Blue Horizon is rather typical of Wishbone Ash bending classic melodic rock into progressive rock, with the guitarists trading licks. While not necessarily a hard rock band, Wishbone Ash can get rambunctious and lively with heavier riffs and leads as on Blue Horizon, Take It Back, Deep Blues, and Being One. But any of these will have delicate moments as well. And Deep Blues definitely draws upon some blues influences. Then a song like Way Down South will sound like a mash up of melodic rock with hints of southern and breezy Westcoast rock. A touch of that southern and blues groove comes through within Mary Jane. But the subtly and gentleness inherent in their melodic rock is juxtaposed against some deeper riffs in All There Is To Say, again, something common to their style and has been since the beginning. One of things I have always found fascinating about Wishbone Ash's twin lead guitar arrangements is how transperant and coherent they sound. They flow together with such seamless consistency that you don't necessarily have to ask the question of which guitar player is playing which line. They simply sound good. If you're a longtime Wishbone Ash fan or simply like guitar-driven melodic progressive rock, then Blue Horizon is another solid and entertaining effort from the band (that doesn't seem to be quitting anytime soon). Recommended. If you're a longtime Wishbone Ash fan or simply like guitar-driven melodic progressive rock, then Blue Horizon is another solid and entertaining effort from the band.